This print features two new characters in an enchanted tropical location. 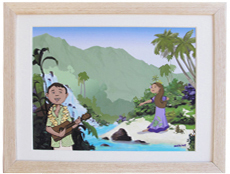 Visit the "Shop" page to purchase your own Hula Rhythm print. 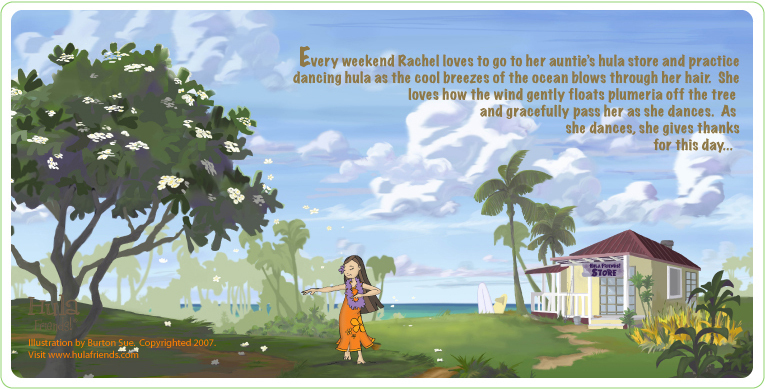 Many fans have asked, "How is the charm of Hula Friends! is created?" 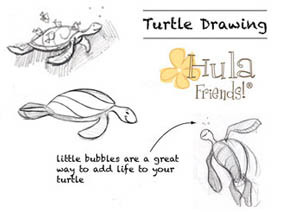 Click here to download some fun lessons on how to draw Hula Friends! style. Wholesale & Licensing | Contact | All Images Copyrighted 2005 - 2010. Hula Friends! is registered trademark.